Belgrade Apartment is located in one of the oldest streets in Belgrade, still paved with cobblestones – a true testament to our long history. 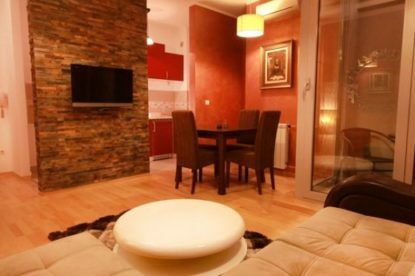 Balkanska Street starts at the city center, at Terazije Square and descends toward the Main Bus and Train Station – so, if you are coming to Belgrade by bus or train, you will be only a 5 minute walk away from enjoying our luxurious apartment. Apart from being close to the most urban part of the city – Knez Mihailova Street – Belgrade apartment is close to the green market Zeleni Venac, which presents a special commodity for guests planning to prepare their meals. 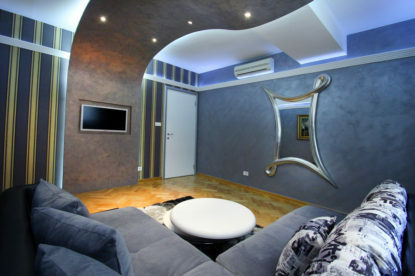 Belgrade apartment, with its impressive size and three bedrooms, represents and oasis of peace in the city center. 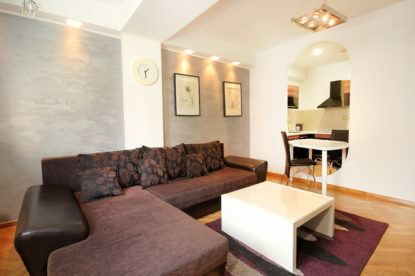 All rooms in the apartment are modern, with comfortable black and white furniture. An intriguing feature of the apartment is the ambient lighting in purple shades, which provides a touch of mystique to the apartment, especially when the night falls. The kitchen is fully equipped with all devices needed for a prolonged stay: electric kettle, stove, utensils and kitchenware, etc. The bathroom has a spacious shower cabin. The apartment has three bedrooms, so it is equipped to guest up to 8 persons. This makes it very popular among our guests. 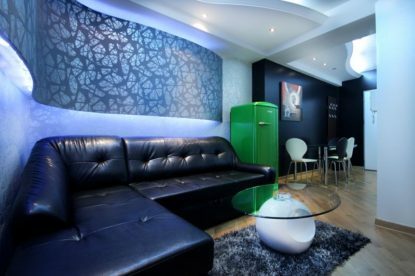 The mix of modern and classic represents the spirit of Belgrade, which is exactly why this apartment carries the name of Belgrade.